Smart thermostats are more than just a new tech fad. To many homeowners, they've become essential devices that allow them to save money, conserve energy, and avoid hassle while maintaining a perfectly suitable home temperature at all times. Smart (or connected) thermostats connect to your home wifi network and can be controlled remotely by smartphone, or handsfree at home via Amazon's Alexa. The highest-end models like the famous Nest Thermostat can learn your patterns and automatically control your home temperature based on your preferences so you never have to do a thing. Check out our top picks for the best smart thermostats to buy in 2017. Whichever model you choose, you're likely to save significant money over time through efficient energy usage. Prices have dropped significantly for Black Friday today, with the best deals we've ever seen on each of our Best Overall and Best Value picks below. Nest practically invented the smart thermostat industry back in 2011, and their 3rd Generation Learning Thermostat is hands-down the most effective, intelligent and beautifully designed smart thermostat ever produced. It's pricier than a standard thermostat, but the cost savings it represents over time make it practically free with less than two years of use for most owners. 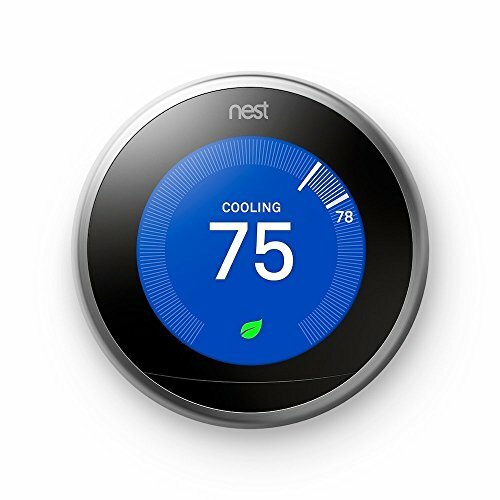 The Nest Learning Thermostat immediately begins to learn its owners' habits and preferences as soon as they complete a relatively pain-free installation process. It monitors how you move around the house, when you're awake or asleep, and begins adjusting your home temperature to an optimal level automatically by time of day and your movement patterns. Nest does this by relying on machine-learning algorithms that help it learn the custom internal heat behavior of each home, effectively creating a custom thermal map of your home that it pairs with GPS weather data to always manage to an ideal temperature while saving energy. No other smart wifi thermostat holds a candle to this functionality. Nest connects to Wi-Fi and pairs with Amazon Alexa devices, so you can manage your thermostat remotely or give it hands-free instructions if you desire. Most users simply install it and rarely have to think about it again. It also uses its sensors and smartphone integration to detect when you're not home, at which point it uses a feature call Auto-Away to automatically conserve energy. The Ecobee4 Alexa-Enabled Thermostat offers one very unique feature that sets it apart from Nest's 3rd Generation model. Where the Nest simply works with Alexa-enabled devices, the Ecobee4 actually comes with built-in Alexa service including a speaker and microphone. This means owners don't need to buy an Echo or Echo Dot to use Alexa hands-free with their smart thermostat. The ecobee4 also features support for other smart systems like Apple's HomeKit and Samsung's smart things. One other useful feature of the Ecobee4 is its included smart sensor, which owners of large homes can place on the other side of the house so that Ecobee4 can monitor the difference in temperatures. The Nest doesn't come with sensors and relies instead on its internal home modeling to equalize differences in different rooms. 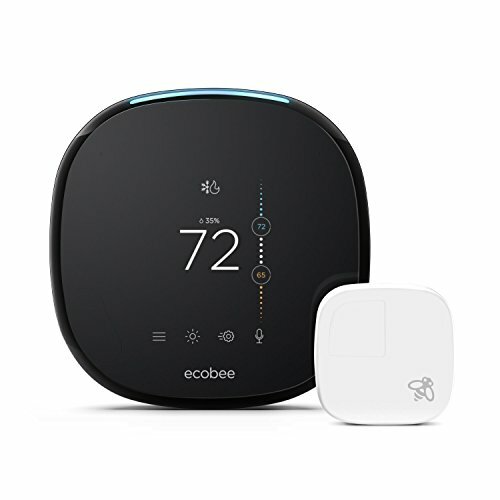 Owners of more complicated large homes may find the Ecobee4's sensor to be useful in certain spots which even Nest's sophisticated algorithms might not sufficiently map. The Emerson Sensi Smart Thermostat is more of an affordable wifi-enabled thermostat than a true smart thermostat. It doesn't offer most of the true smart temperature automation features of the Nest and Ecobee4, but what it does give you is a thermostat that you can control remotely via your smartphone and Alexa at a fraction of the price. 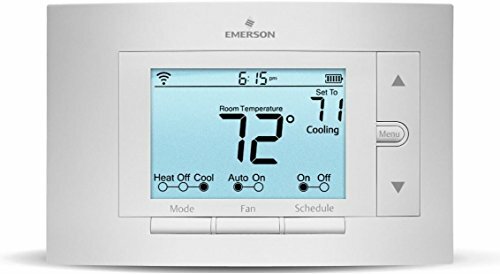 Emerson is a traditional thermostat manufacturer that has been around for over 75 years, which explains why their Smart model adheres to an upgraded version of typical thermostat design. It is a relatively boring but easy to use and simple interface. The Honeywell Wi-Fi Programmable Color Touch is a strong thermostat option for small businesses, with a wifi-enabled business-specific scheduling mode that allows you to effectively control your energy usage at the office. 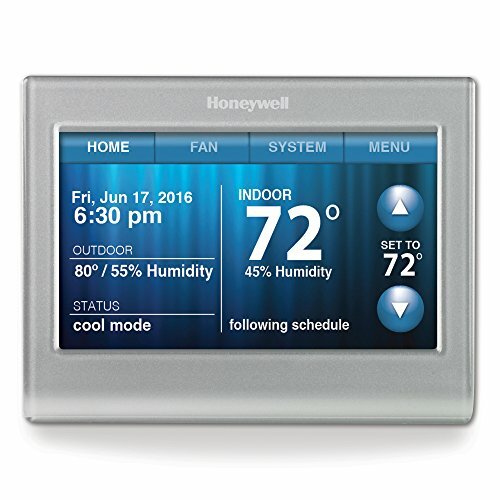 The Honeywell Color Touch has a variety of preset programming modes for businesses to set desired temperatures and save energy, and also allows you to create your own schedule. It has a self-locking screen to prevent employees from changing your desired program. You can manage the Honeywell in your office remotely via an easy to use app, and it is also Alexa-enabled. Honeywell's model is more customizable than the Emerson Sensi Smart, but not truly intelligent like the Nest and Ecobee4. We still prefer the Nest for all of its automated features, but users wanting a cheaper model with preset business modes and a locking screen will be happy with the Honeywell.